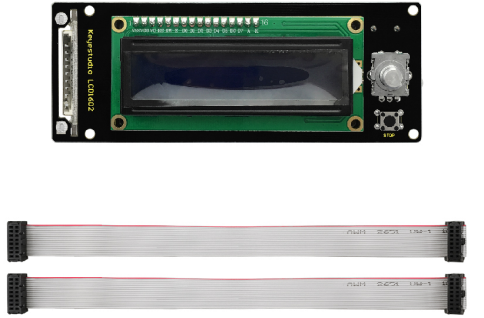 Keyestudio LCD1602 3D module includes a SD card reader, a rotary encoder and a 16 character * 2 line LCD. 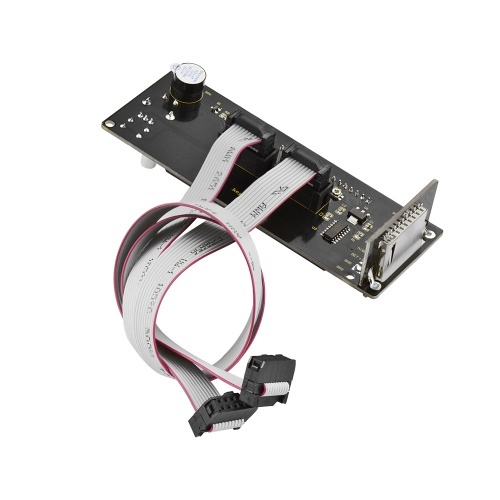 Keyestudio LCD1602 3D module is used in 3D printer, an extension accessory of RAMPS. By using this panel, the printer can realize off-line printing function. That is to store the G-code file of the 3D model to SD card, and then use the LCD control panel to print the file. 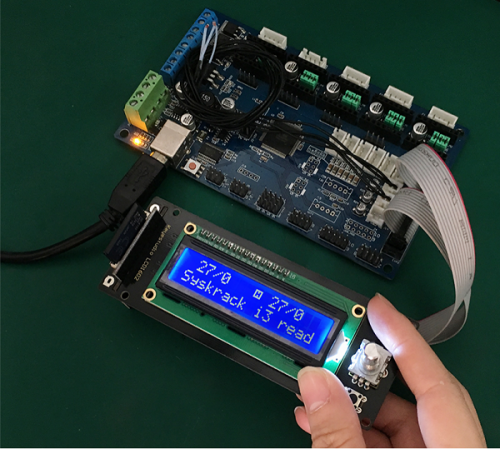 This is an updated version of Reprap smart controller. This page was last edited on 24 April 2019, at 16:56.